Characteristics: Low growing herbaceous perennial shrub with colourful foliage and tall stems bearing loose clusters of small flowers. Flourishing Season: Pale peach flowers blooming in late Spring through to the Summer. Water & Maintenance: Plant in medium moisture, well-drained soil. Keep in full or partial shade. Tolerates dry soil but prone to leaf scorch during hot Summer days. 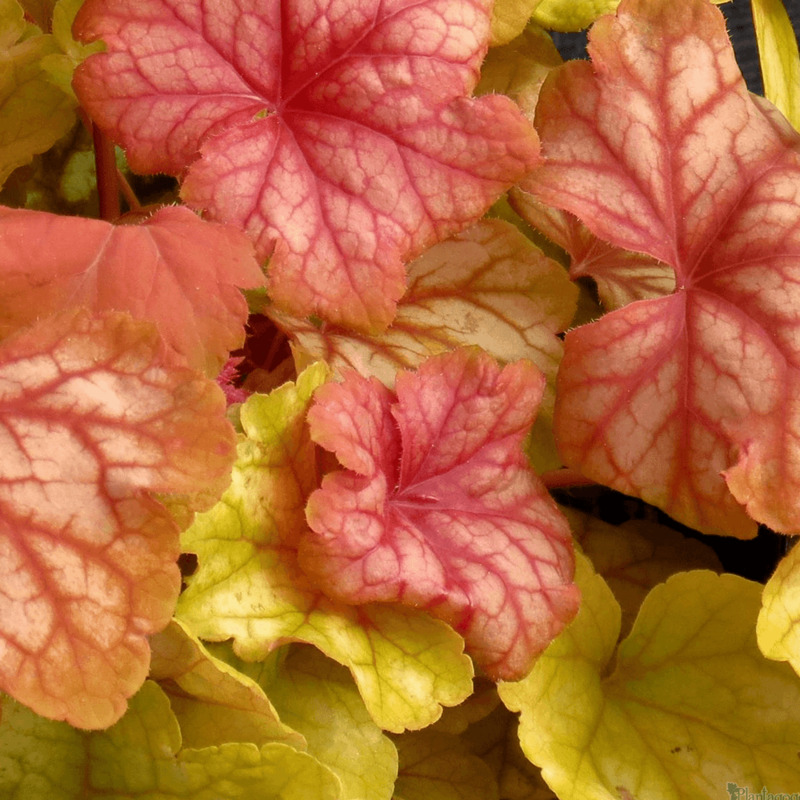 Heuchera ‘Champagne’, also known as Coral Bells or Alum Root, is a vibrant addition to any garden display with bright, mounding foliage that changes from an amber to golden yellow as the seasons progress. Dark red stems reach high above the low foliage to carry loose panicles of light peach flowers from late Spring and well into the Summer months. Heuchera is a great choice for a variety of garden displays, working well as ground cover for flower beds, borders, rockeries and surrounding the base of trees. It can also be used as a tidy pot or container shrub.